Home » Blog » Got X? Got Friends lo. No X? Ma lonely lo. Do you like to party? 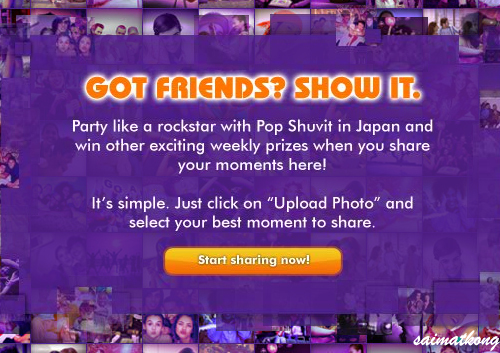 Want to be a rock star with Pop Shuvit in Japan? Then you are in the right place and reading the right article. Celcom Xpax, Got X got it all is having a contest for you! Yes, it’s you! 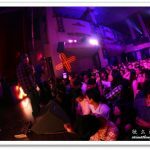 What you need to do is just browse to http://xpax.com.my/gotxgotfriends/ and upload your best moments on the Got X, Got Friends photo wall. Of coz don’t simply upload not related photo, there’s themes for it. AWWW!! !, Out & About, Love & BFF and Gotcha! 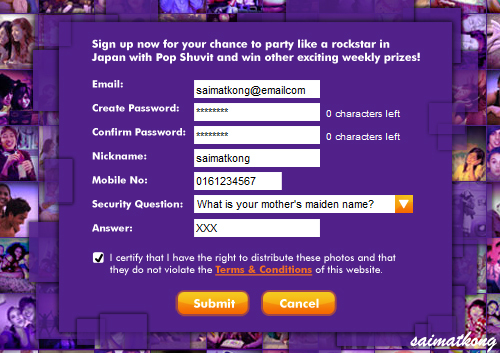 Then you will stand a chance to win cool prizes like an Xbox 360, Blackberry Storm, limited edition Celcom Broadband MTV World Stage modem, a once in a lifetime experience, to party with POP SHUVIT in JAPAN! Do you want one of the 15 chosen ones? You will be famous too because you will be featured in the upcoming Xpax prints ads, in other words, your face will be all over Malaysia. Sounds cool huh? 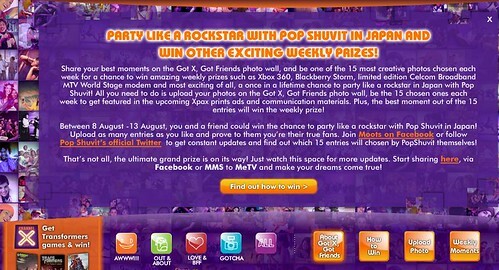 Join Moots on Facebook or follow Pop Shuvit’s official Twitter to get constant updates and find out which 15 entries chosen by Pop Shuvit themselves! 4th share your photo to Got X, Got Friends. 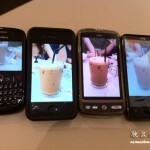 3 Options to upload photo. Upload on the photo wall straight from your computer. 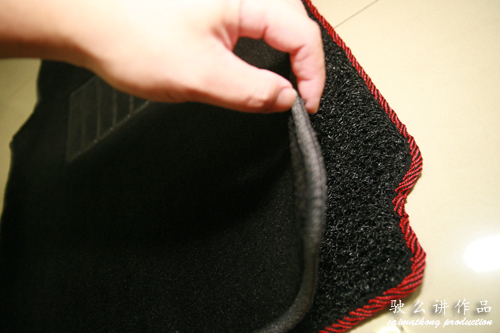 Install Gox X, Got Friends photo wall application on Facebook and start sharing the photos from your profile! 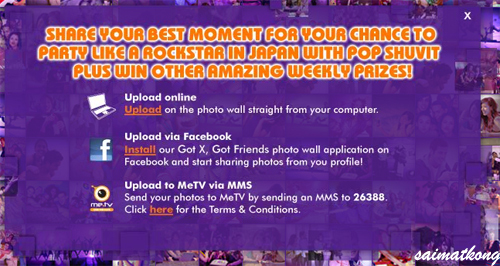 Send your photos to MeTV by sending an MMS to 26388. Now I know ur handphone number! Hahahaha!